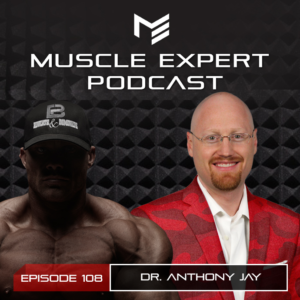 Joining us today is Dr. Anthony Jay, scientist, author, and expert on a wealth of topics including xenoestrogens, epigenetics, and mesenchymal stem cells. Ben and Dr. Jay dive deep on how to remove artificial estrogens from your environment and diet and the effects of xenoestrogens. We also discuss how you can impact your genetics through diet, exercise and environment as well as the implications of your epigenetics on future generations. Lastly we discuss Dr. Jay’s latest research at the Mayo Clinic on fat derived mesenchymal stem cells and his thoughts on the future of stem cell medicine. The MI 40 Nation is putting on a Transformation Challenge for the next 12 weeks! We are giving away over $10,000 in cash and prizes. 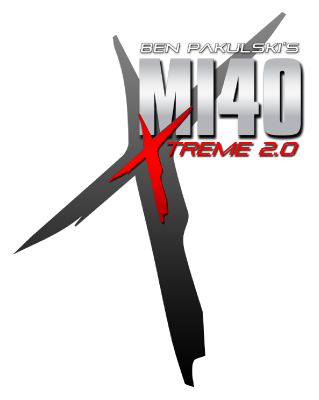 Sign up at bit.ly/mi40transformation to be entered for the 4 week contests and to win the grand prize! 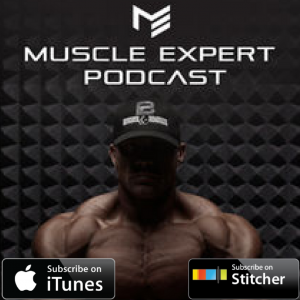 This episode’s featured supplement from ATP Labs is Estro Control. This 100% natural formula helps to detox estrogens and support a healthy estrogen metabolism. Visit atplab.com to purchase Estro Control and use code Ben10 for 10% off of your order. 4:20- The effects of artificial estrogens on our bodies and minds. 6:30- Dr. Jay’s list of the top 10 environmental contributors of environmental estrogens including mold sources, plastics, and personal care products. 8:20- Atrazine and your food. The effects of the second most common pesticide on your hormones. 9:50- How to avoid xenoestrogens. 11:50- Detoxing estrogens. The importance of a healthy lifestyle to support estrogen detoxing. 13:20- The difference between natural and artificial estrogen. 17:50- Epigenetics and diet. How your diet can effect your genes for generations to come. 22:00- How to determine your optimal diet from your genes. 25:15- Genetics and estrogen detox. How much can Dr. Jay learn from your DNA about how you detox estrogens? 29:00- Recommendations for reducing the estrogen burden in your house, whole house filtration, glass containers and more. 31:30- Red dyes and your epigenetics. How Red 40 can alter your stem cells and change the genetics you pass along to your children. 38:30- Ways to promote healthy epigenetics. 42:00- How Dr. Jay lives his greatest life in his greatest body. 44:30- Reading List! Dr. Jay’s must reads. 47:00- Who is best suited to eat a high fat diet? 50:15- Dr. Jay and ketosis. What diet does Dr. Jay follow and why. 52:50- Dr. Jay’s latest research at the Mayo Clinic. The efficacy of stem cell therapy in Dr. Jay’s eyes. 56:30- The challenges that face stem cell research and expansion.